Here’s your all you need to move in to your new home checklist to make your move as easy as possible. Moving in to a new home can be a stressful time and there is so much needed to be considered when doing it, so we have compiled this checklist carefully so you don’t miss anything out! -Confirm the date of your move. -If you’re renting, notify your landlord of your moving date. -Check your contents insurance – make sure you have cover from the day you move in to your new home. -Obtain written quotes from several removal firms. If you’re not using a removal company, then ask friends and family to help. -Get references and check the limits of their insurance. 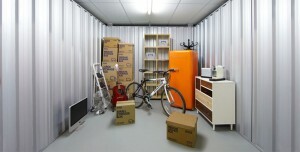 -Book extra storage space if you feel it’s required. -Let all you utility companies know about your move. -Start getting rid of possessions you no longer need. Decide which items can be -taken to a charity shop, sold at car boot sale, or offered to your friends. -If you need new furniture or carpets – order them now and arrange delivery for when you move in. -Start packing non-essential items such as books and non-seasonal clothes into boxes. -De-register from your doctor, dentist and optician if you’re moving out of the area. -Visit the post office and arrange for your post to be forwarded (you will be charged a fee for this service). -Notify your milkman and newspaper shop that you’ll be moving and give them a date you want the service to stop. -If you have children or pets, arrange for someone to look after them during the move. -Make a list of everyone who should know about the move. Send out change of address ecards. -Finalise arrangements with your removal company. -Confirm arrival times and make sure your removers have directions to your new address. -Arrange a time to collect the keys for your new home from the estate agent. -Notify your bank of any changes to direct debits and standing orders.